Cloud computing is hardly a new concept, tried and true email services like Hotmail have been using cloud based storage for decades. But with technology advancing, and smartphones becoming a compulsory accessory for most of us, the need to access information all the time, from anywhere, is growing – and the cloud helps us to do it. The popularity of cloud based storage has grown quickly in recent years thanks to user friendly applications like Dropbox, Apple iCloud, Google Drive, and New Zealand success story Xero. Cloud based services are on the rise, and many businesses are starting to replace traditional data and file storage methods with cloud based solutions. It’s predicted that by 2017 nearly two thirds of all work will be conducted in the cloud. Basically the cloud is a place to store information and data (documents, photos, videos) in a way that’s going to be easily accessible from a variety of locations (home, work, overseas) and devices (mobile, tablet, computer). The cloud isn’t in one geographic location, rather it’s multiple buildings across the world that house massive computers to store all the information you have saved. You can access your files via a network, and there are a range of security measures protecting your files depending on the service you’ve used to save them to the cloud. Traditionally we’ve always saved documents direct to the hard drive of our computer. When that computer dies or repair isn’t an option, we’re left without our precious photos and documents. This is why a physical backup is an essential part of keeping your files safe. A cloud based backup solution is a great secondary option for storage, and it protects you from burglary. As long as you have an Internet connection, you are going to be able to access your files from anywhere. The cloud is great for collaborative work, whether it’s planning a presentation or updating training materials, all the members of your team can access the same documents from different computers because the information is synchronised across all those computers you’ve shared the file with. This mobility is also true for accessing your files across a range of devices and update them all simultaneously. If you use Spotify, Facebook, Twitter, Skype, Linkedin, or pretty much any other social network then you’re already using the cloud. These services store most of their information on a cloud server, giving them easy storage space. There are many cloud based services that can help you manage your home or business life. Kiwi families are connecting with each other all over the world using cloud based services like Skype, Viber, and Facetime. Many small businesses use the cloud to pay their staff – a Wellington business owner could be travelling through Europe and approve a pay run with a few taps of their smartphone. Plus, many of these cloud services are free! Free doesn’t always mean low quality or unsecured either. Dropbox is a free service that lets you easily share documents across devices. You can synchronise your private Dropbox across your home computer, work computer, smartphone, and tablet devices; meaning you can access your most up to date files and photos on the go. Dropbox is great for when you’re working from more than one location and don’t want to worry about saving things to multiple USBs or emailing things to yourself so you don’t lose the most up to date version. It’s also great for working on documents with other people. You can choose to share a specific file or folder with another person by emailing them a shared access link, whilst keeping all your other documents private. Dropbox is also great for data recovery because it lets you view files you’ve deleted from your Dropbox. If you’ve accidentally deleted something or want to see an earlier version of a file, Dropbox lets you do it. If you have an iPhone, iPod, iPad, or any other Apple device, chances are you have an Apple ID. You need an Apple ID to download apps to your device, and to download music from the iTunes Store. 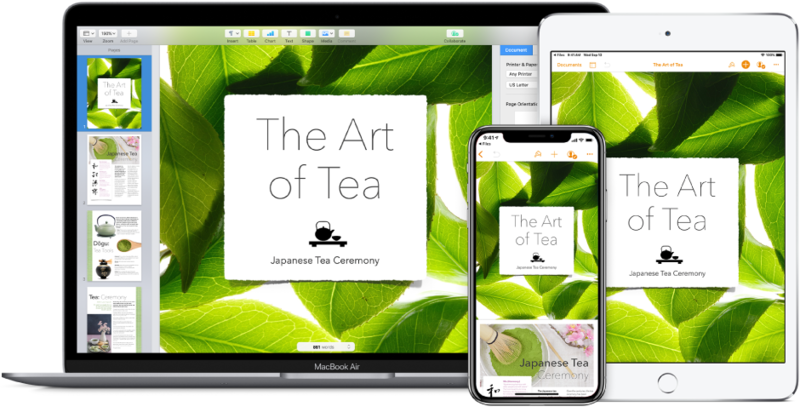 Synchronising your devices to have the same music, for example, can often be confusing and using the iCloud to synchronise your devices is usually the easiest way to do this. By using the iCloud you can also enable applications like Find My iPhone, which can help you track and find a lost iPhone, iPad, or other Apple device. Spotify is a music streaming service that has both a free user plan and a premium paid user plan. Once you’ve made a user account you can sign in to that account across multiple devices. After you’ve saved a playlist to your account you can then see it on all your devices, meaning you don’t have to create it more than once. With the premium account you can save playlists to your device so that they work offline, and save you from spending your valuable mobile data. One of the best things about Spotify is that you can add music from your home computer or laptop to your Spotify library and take it everywhere you go. If you take a lot of photos then this is the service for you. Flickr lets you upload your photos, put them into albums, tag them with location information, and share publicly or privately. Flickr gives you one terabyte of storage for free. And it lets you store video too. If you have family or friends who refuse to use social media like Facebook, but still want to see your photos, then sharing via Flickr is a great option. As we increasingly use our smartphones to take photos (and lots of them) and shy away from film photography, we are faced with storing those memories in a safe place without fear of them succumbing to fire or flood – Flickr is an easy way to do this. They even have a mobile app (Android and iPhone) that allows you to upload right from your smartphone. Do I need to use the cloud? Not if you don’t want to. There is plenty of desktop photo storage software out there, and you can go back to listening to music on your radio – but it is getting increasingly harder to avoid interacting with the cloud. If you’re not so keen on using a cloud based email client (e.g. Gmail or Hotmail) and prefer to use a traditional desktop email provider (e.g. Microsoft Outlook or Apple Mail) then Geeks On Wheels can help you set it up, and avoid you using the cloud altogether. If you’re worried about not having enough storage for all your photos or documents then we can help you set up and install portable or external storage to store your memories or important documents. Using an encrypted USB drive is just one way to do this. Cloud based solutions and applications have some great benefits and our experts can show you how to make the most of this technology. Whether it’s setting up a cloud-based backup, setting up a synchronising service (like Dropbox or Apple iCloud), or showing you how to improve productivity through a collaborative work application. In 2015 a wireless, online based storage solution really is easier than ever. 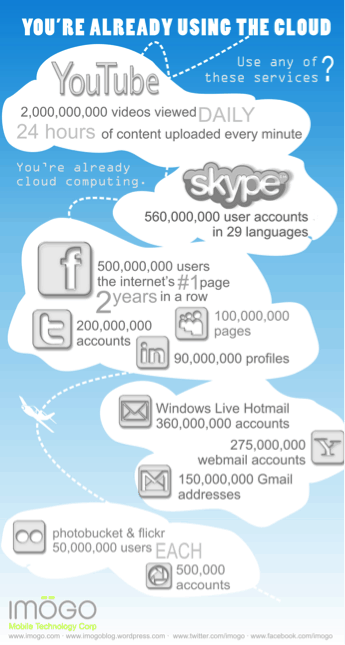 Keen to learn about how cloud computing could help you or your home business? Then let’s talk! Geeks On Wheels have been shifting Kiwis’ computer usage to the cloud since cloud computing was a thing!